Small scale (1000 à 6500 tons per year) dry digestion system for any organic substrates with over 25% TS. Easy installation and startup: EUCOlino is prefabricated, tested for safety, and ready to operate upon delivery; Small footprint (65 à 115 m2 – slightly larger than a shipping container); Flexible choice of feedstock; Well-proven EUCO technology, continuously improved since 1995; High profitability thanks to low investment costs, low costs for input materials, energy recovery. 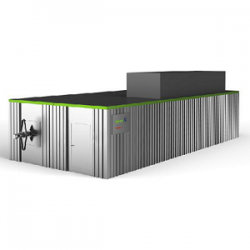 EUCOlino is a compact, plug & play anaerobic digester. 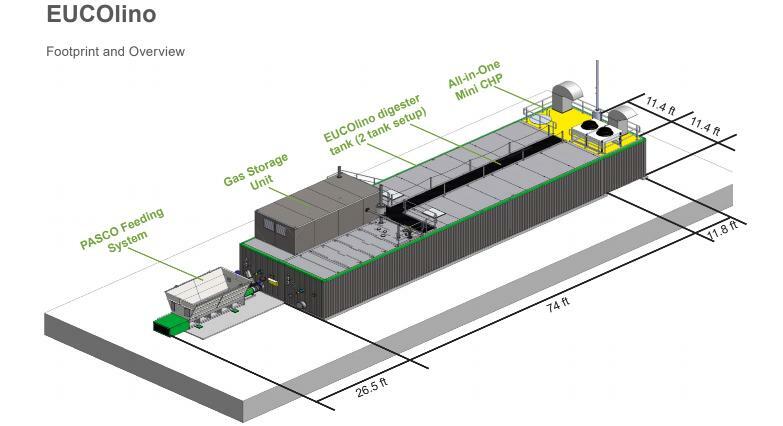 The anaerobic digester’s uniquely compact design expands to operations with limited footprints or smaller waste streams and opportunities for energy generation from organic waste. Utilizes well-proven EUCO® technology, continuously improved since 1995. EUCOlino is characterized by minimal space requirements and modular structure. Biogas generated in the system can be used for electricity and heat, and digestate used as compost or a variety of fertilizer products. EUCOlino’s pre-fabricated system is simple, flexible and easily integrated into already-established operations. System components are pre-manufactured units shipped as complete systems from the supplier. Modular components can be combined according to specific needs and many combinations of input materials are possible. 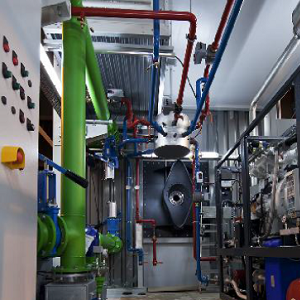 Depending on availability of organic waste, engine sizes typically range from 50 kW up to 100 kW.